August 9, 2018 in Dushanbe, the First Meeting of the Tajik-Kazakhstan Business Council was held, in which the company “Rohi Somon” participated. At the event, issues of further development and strengthening of trade, economic and investment cooperation were discussed. Agreement on the establishment of the Tajik-Kazakhstan Business Council was signed, the most important areas of bilateral partnership were determined, and mutually beneficial contracts were concluded with the participation of the Chamber of Commerce and Industry of the Republic of Tajikistan, the Foreign Trade Chamber of Kazakhstan, structures, industrial and business communities of the two countries. About 20 leading enterprises of Kazakhstan representing various sectors of the economy arrived in the capital of Tajikistan and showed interest in projects in various spheres of Tajikistan’s economy. 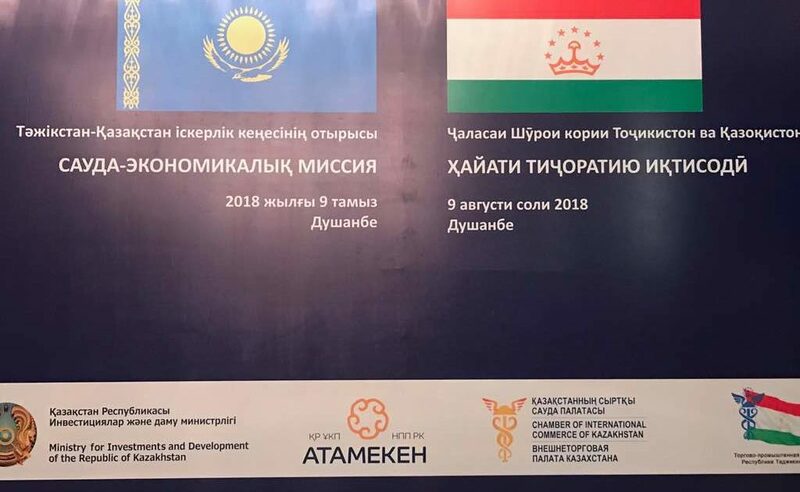 Heads and representatives of sectorial ministries and departments, and representatives of one hundred leading business communities of Tajikistan represented Tajikistan.